One more spring training lines-and-autograph photo. Yeah, I'm ready for the season to begin. 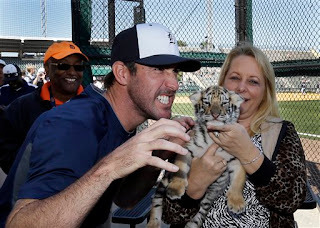 mega contract, and he got to play with a real tiger. Friday saw the completion of two significant contract extensions: Justin Verlander for five years, $180 million — a deal that, tacked onto his current contract, ties him to the Detroit Tigers through at least 2019 —and Buster Posey for eight years, $167 million, the second richest contract ever for a catcher (behind, of course, Joe Mauer's deal with the Twins). The Verlander contract comes a day after the news about Johan Santana's possibly career-ending injury, and the parallels are fairly obvious. Santana signed his big contract with the Mets just before turning 29; it came after four seasons in which he never failed to pitch at least 219 innings, led the league three times in strikeouts and had staked a claim to the title of "best pitcher in baseball." Verlander is 30, and he is coming off four seasons of at least 224 innings with three strikeout crowns and his own claim to the title of "best pitcher in baseball." Santana was only able to give the Mets one year near the level of productivity and durability he had displayed with the Twins before he started breaking down. That doesn't mean Verlander's about to decline in the same manner; Verlander is bigger than Santana, he's racked up many games with higher pitch counts than the Twins ever let Santana throw, and he's already at the age at which Santana's stuff began to deteriorate. The Mets probably wish they hadn't granted Santana his contract. It may be that the Tigers will eventually regret Verlander's contract. Or maybe he is truly the rare arm that can sustain that kind of workload over such a lengthy period. 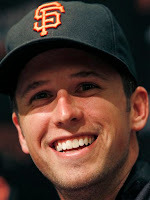 Posey's contract will tie him to the Giants through his age 35 season. That's an advanced age for a high-offense catcher — a danger that, of course, applies to the Mauer contract as well. Part of what makes Posey and Mauer worthy of their pay is that they produce as well as they do while playing catcher. They wouldn't be as valuable if they were outfielders or first basemen. It's a dilemma, because heavy playing time at catcher generally shortens careers. The Giants were willing — indeed, given that Posey was three years away from free agency, we could say the Giants were eager — to take that risk. Practically from the day the Twins traded him away, I've quietly harbored the fantasy that Johan Santana had not thrown his last pitch in a Minnesota uniform — that, like Bert Blyleven before him, he might once again find his pitching home in the place his big league career started. That notion was probably always fanciful. Today — with the news Thursday that Santana's surgically-repaired shoulder has given way again — the odds are far better that he'll never throw another pitch in the majors. We Twins fans should treasure the memory of Santana's brilliance with the Twins. From the time he broke into the rotation in 2003 through his first season with the Mets after the ill-fated trade (2008), Santana finished seventh, first, third, first, fifth and third in the Cy Young voting — and I do believe that the voters soon regretted not giving him the honor in 2005, which would have made three in a row for him. Three times he led his league in ERA, three times in strikeouts, twice in innings pitched, three times in strikeouts per nine innings. It was a truly impressive six-year run. What comes next for the Venezuelan southpaw is uncertain. He's 34. His return from his 2010 surgery to repair his capsule took 19 months, and no pitcher has had the surgery twice. 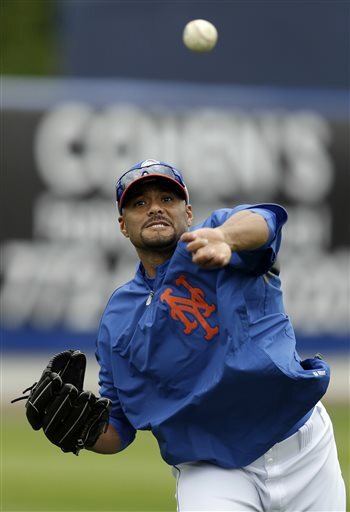 The Mets owe him more than $25 million for 2013, and there is no chance that they will pick up his option for 2014. Will Santana want to endure the grueling rehab when he can expect only a limited payoff at the end of it? Surely there won't be big-ticket offers waiting for him at age 36 after a second major shoulder operation. Still, this is a proud pitcher — with a record to be proud of — with a competitive streak worthy of admiration. He might decide to try it just because he can try it. staff when he came to sign his contract. In the last week of spring training, with the rosters essentially set, teams frequently bring prospects over from the minor league camp for a day. Wednesday was Byron Buxton's turn — Buxton, last June's No. 2 overall draft pick, just 19 and already regarded as one of the brightest lights in the minors. He's a five-tool guy. Or maybe a six-tool guy. And if he can cook, he's probably a seven-tool guy. So ... Buxton leads off the game against A.J. Burnett — veteran power pitcher — and singles sharply to center. Then he steals second, takes third on a throwing error by the catcher, and ultimately scores on a ground out. For the game, Buxton was 1-for-4 with a walk. He stole two bases and scored three runs. Pittsburgh committed two errors trying to make plays on him. We just started laughing. How old is he, 19 years old? He gets up, rips one through the middle right away. You give him the green light, he steals second and goes to third. This game is not that easy. It really isn't. But that's why these guys are drafted No.1. I expect Buxton to open the season with Cedar Rapids in the low A Midwest League. From there, he'll decide where he's playing. He's that kind of talent. So ... this morning the Twins optioned Alex Burnett to the minors. This leaves 28 players in camp, but non-roster guys Rich Harden and Rafael Perez are clearly not ready to pitch yet (Perez has thrown some batting practice and Harden has started working off the mound), and the presumption is that Tim Wood will go on the disabled list. Quite possibly Ron Gardenhire and Co. would flip-flop Pressly and Roenicke. In practice, I don't think there's going to be much distinction; Roenicke can't give them two innings every day, and there's going to be too much work for one long man with this starting rotation. Pressley's going to work more long relief and mop-up than meaningful outs for a while. Neither Burnett nor Robertson had good stat lines this spring, not that eight innings or so proves anything. I do regard the choice of Robertson as a more realistic one. The Twins (at least until Scott Diamond returns) have an all-right-handed rotation, most of whom will need early relief help. Robertson gives them a lefty to use to get out of those fifth- and sixth -nning jams while saving Duensing for the seventh or eighth. Robertson may be too inconsistent to be a truly good LOOGY, but he's better equipped for the job than any of the right-handers. Probably. Bullpens are always works in progress, and with Anthony Swarzak and Wood presumably somewhere on the rehab trail, there will certainly be some changes made before April ends. As for Burnett ... regular readers know that I've grown increasingly skeptical of his value. When he came up, I envisioned him becoming a new version of Juan Rincon, who gave the Twins three very good seasons of set-up work. It hasn't happened for Burnett. His strikeout rate has fallen each year in the majors, and while his walk rate has fallen also, it's still too high. Byron Buxton, the No 2 overall draft pick last June, made the trip to Bradenton, Fla., for the nooner exhibition with the Pirates. As with Miguel Sano last week (and again Tuesday), this has nothing to do with competing for a big-league spot this year. Just a glimpse for Gardy and Crew, and a reward for Buxton. last week in an exhibition game. Two more non-roster pitchers, Sam Deduno and P.J. 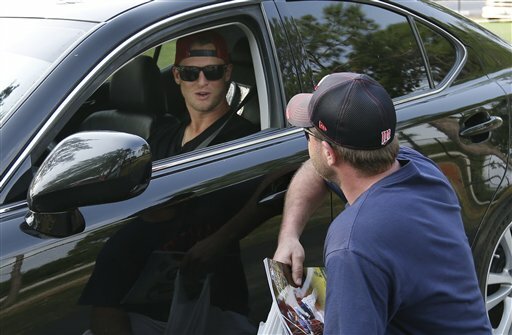 Walters, were reassigned to the minor-league complex Tuesday. This boiled the major-league side to 26 healthy players and, at least as reported by the various beat guys, left the roster competition down to three arms for two bullpen jobs (Alex Burnett, Tyler Robertson and Josh Roenicke). If so, the Twins are opening with 12 pitchers and will carry outfielder Wilkin Ramirez as a bench bat. I'm not sold on Ramirez for that job, but that's a minor issue. The Opening Day roster will not last long, and I fully expect that by the time Anthony Swarzak and/or Scott Diamond are ready to come off the disabled list the Twins will have decided they need a 13th pitcher. And when they get to that point, whose roster spot will he take? Probably Ramirez's. Keeping Ramirez will make this an aspirational roster. The Twins want to have a 12-man staff, not a 13-man staff, so they'll open with 12 and hope that the rotation doesn't immediately become a train wreck. If — when — it does, they'll deal with the fallout then. There's a price to pay for that aspiration. The Twins will have to open a spot on their 40-man roster for Ramirez, a non-roster invitee. The 40 has been full all spring, and the injuries that sidelined Swarzak and Tim Wood — plus the fact that Rule 5 pick Ryan Pressly earned a roster spot — have allowed the Twins to avoid having to cut any of the bullpen use-or-lose guys (the other being Roenicke) for now. Somebody will have to outrighted, released, traded, sold — removed from the roster — to make room for Ramirez. It probably won't be a significant loss of talent, but the gain — a week or two of Ramirez — seems marginal at best. The Twins on Monday optioned out Drew Butera, which means they'll carry two catchers — Joe Mauer and Ryan Doumit — who'll both be in the lineup at five to six days a week. Catching, DHing, corner outfield, first base — flexibility is the byword. Flexibility and hitting. Mauer's a gifted defensive catcher and Doumit is not, but they both hit well enough to be used at less important defensive positions. Butera is a good receiver, but he's not a quality hitter; there's no gain to have him play first base or left field. 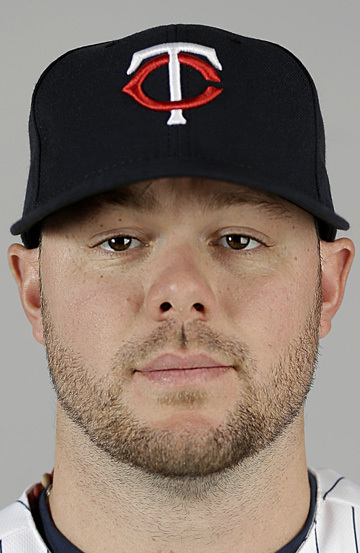 The Twins also on Monday officially reassigned Dan Rohlfing, the last of the many non-roster catching invitees, to minor-league camp, but kept him on the major league side for depth. I'm not sure what, as a practical matter, the difference is between being a non-roster invitee and being a minor-leaguer on the major league side, but Butera's gone from the clubhouse and, at least as of Monday, Rohlfing was not. Rohlfing's minor league record doesn't scream prospect, but he appears to have made an impression in camp, even if (or perhaps because) he played quite a bit at other positions than his native catcher. 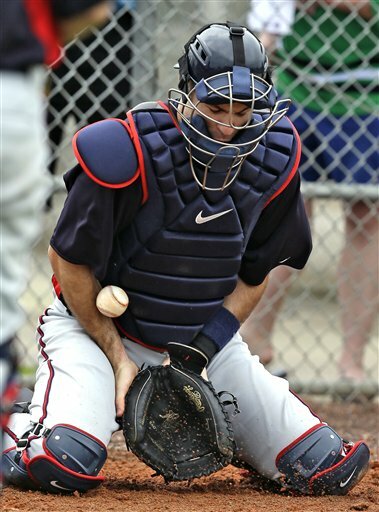 Multi-position catchers seem to be proliferating in the Twins organization. Mauer. Doumit. Chris Herrmann, who figures to play at lot at Triple-A Rochester, has played considerable outfield in the Twins system and was a third baseman in college. Rohlfing, who has split the past two years between high A and Double A, has a few dozen games in the outfield in the minors and has played considerable first base this spring. Catcher is a specialty position, and as illustrated by the fact that Drew Butera has almost three years and more than 500 plate appearances in the majors with a .183 career batting average, defensive chops behind the plate are valued. Most catchers are strictly catchers. The Twins appear to be making a conscious effort to break that mold. But Herrmann and Rohlfing and any other multi-position catcher — perhaps Mike Kvasnicka, the Minnesota native and former Gopher the Twins traded for Monday — have to hit to make their multi-position ability meaningful. but he'll have a much lower one when the season opens. Ron Gardenhire said/announced/conceded Sunday that Aaron Hicks had won the center field and leadoff hitter jobs. It's tempting to declare that this made Gardy the last to know, but in truth it's been obvious all spring — even before camp opened — that Hicks was Gardenhire's first choice for the job. Of the three center field candidates, Hicks was the only one who played strictly in center in exhibitions. Hicks, however, was the one with the jersey number (63) that suggested he was a longshot. Joe Benson wore No. 12 this spring, Darrin Mastroianni No. 19. But Hicks will get a new number with his new status — No. 32, in an apparent tribute to Dave Winfield, who wore that number during his brief Twins tenure. Hicks generally wore 31 in the minors; that's the number his father Joe wore in his own minor league days, also in tribute to Winfield. I suspect that if and when 31 becomes available — it's currently worn by Alex Burnett — that Hicks will switch to that number. Tim Wood, an out-of-options bullpen candidate, turned up Sunday with a shoulder issue. 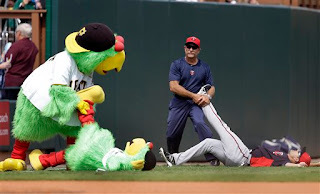 Initial reports indicated that the Twins didn't view it as serious enough to get an MRI on the rotator cuff but that he might wind up opening the season on the disabled list. That's based on the conventional wisdom that the Twins will employ a 12-man pitching staff. In today's print column I say that the Twins will be forced — again — to carry 13 pitchers because the starters will be too incompetent to go seven innings with any consistency. Seven relievers or eight, there will be choices to make as people start coming off the disabled list. Swarzak, Wood and Roenicke are all out of options, and Pressly is a Rule 5 guy, which means he has to be on the major-league roster or be offered back to the Red Sox. I think the Twins would really like to have Perez as an extra weapon against lefties, and the Twins are said to like Roenicke more in short bursts than as a long man, a job that figures to revert to Swarzak when he's ready. Burnett has had a rough spring, and his strikeout and walk rates have always been unimpressive. Plue he has an option left. I would think he's the one on the thinnest ice right now. Miguel Sano awaits an at-bat Thursday night. The sign on the dugout wall behind Miguel Sano is premature, but prophetic. Sano is still only 19 (or so it is believed), and he has a lot of work to do — work on his defense at third base, work on hitting (or laying off) the breaking ball, work on his language skills. Maybe Sano'll get to Double A later in the season. He'll get here — maybe in 2014, maybe in 2015. And when he does, it will be a new era. I believe that. I believe that, because when I stop believing in the boundless future that awaits them, it'll be time to find a new hobby. Friday's demotion of Joe Benson was far from the only move the Twins made that day. In a handful of minor league releases, two names stood out: Cole Nelson, a LHP and Minnesota native acquired in the Delmon Young trade, and Danny Rams, a second round pick in 2007. Both men ran aground in high A ball. Rams was what I have come to think of as a Matthew LeCroy Memorial Pick -- a high draft pick whose primary, perhap only, tool was power. Like LeCroy, Rams was drafted as a catcher amid doubts that he could remain a catcher. (Other Twins draftees I view as part of this line, with various levels of justification: Henry Sanchez, Parmelee, Adam Brett Walker). As it turned out, Rams didn't develop the catching skills he needed to remain behind the plate, and he didn't hit enough (including the power) to justify playing him at another position. 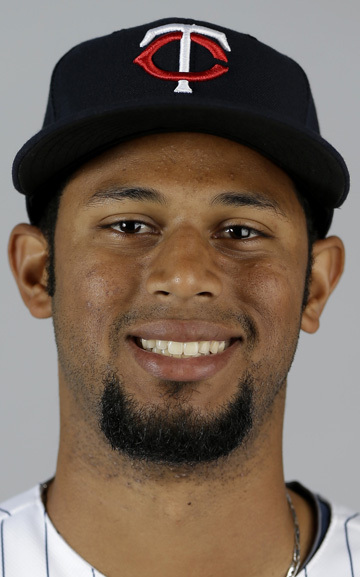 On the major league side, also optioned out Friday was LHP Pedro Hernandez, who threw 11 scoreless innings this spring but seldom was used against established major leaguers. It's not clear to me if the Twins view him as a potential starter or bullpen guy, but he certainly never got a genuine opportunity to compete for the fifth starter slot. Third baseman Delbinson Romero, who remains stuck in visa limbo in the Dominican Republic, was offically reassigned to minor league camp Friday, as was RHP Luis Perdomo, who ended the 2012 season in the Twins bullpen. None of the three were real threats to make the 25-man roster. Joe Benson reviews his at-bat after a ground-out. Joe Benson was optioned out Friday, becoming the first -- and probably the last -- of the three center field candidates shipped out of major league camp. The assumption here remains that Aaron Hicks will be the regular in center and Darrin Mastroianni the fourth outfielder. But today let's consider Benson's status. Had 2012 gone according to plan, Benson would probably have entered spring training the heir apparent for one of the starting outfield slots. But 2012 was an utter disaster for the 2006 second-round pick: Multiple surgeries, just 312 plate appearances spread among four levels, a .202/.288/.336 combined slash line. Hicks moved past Benson in the pecking order. So did Mastroianni, and Chris Parmelee and Oswaldo Arcia. The only real reason Benson was seriously in the running for the center field job is that Parmelee and Arcia are limited to outfield corners. Benson had good moments and bad in camp -- enough bad to take himself out of the running for the job, enough good that he remains a plausible future major leaguer. The physical tools remain; he hasn't turned them into skills yet. This is his third and final option year. In 2013, the Twins can, if they choose, yo-yo him up and down, majors and minors, with impunity. In 2014, however, he'll be out of options, and if he doesn't make the major league roster he'll have to clear waivers to be sent to the minors. Benson turned 25 earlier this month. It's not impossible for him to become a major league regular, but time is running thin for him. This figures to be a pivotal year for him. He either forces the Twins (or another major league team) make room for him, or he's probably looking at a few years of scrambling on the edges of rosters. in the generally pitcher-friendly Midwest League. The Baseball America that landed in my mailbox Thursday included a two-page spread on minor league park effects. For people like me, who scan minor league stats for a rough measurement of what a given prospect can do, having a handle on park effects is important. But with few exceptions, we haven't had a real detailed breakdown of specific parks. We know that, in general, the Pacific Coast League is more hitter-friendly than its Triple A counterpart, the International League; that in low A, the chilly Midwest League is kinder to pitchers than the warmer South Atlantic League; that the high-altitude parks in the California League inflate hitting stats. I've noted repeatedly in the this blog that the Twins full season affiliates are, in each level, in the more pitcher-friendly league -- the International League (Triple A), the Eastern League (Double A), the Florida State League (high A), the Midwest League (low A). These are all generalities. BA now tells us a bit more. The BA spread tells us that the Twins' specific affiliates are generally in some of the better hitters parks in their leagues. Rochester is the fourth-highest run environment in the 14-team International League. New Britain is the fourth-highest run environment in the 12-team Eastern League. Fort Myers is the sixth-highest run environment in the 12-team FSL. Cedar Rapids is the second-highest run environment in the 16-team Midwest League. It's also worth noting that all four leagues are listed as having low standard deviations, meaning that there aren't huge differences between the highs and lows. When the Twins affiliates hit the road, they're playing in parks that don't play all that much differently from each other. All this, it seems to me, indicates that the Twins full-season affiliates play in situations that make their statistics relatively reliable indicators. For those so inclined: Fox Sports North Plus tonight is airing the Twins-Yankees exhibition game. And yeah, there's the NCAA basketball tournament, and the WCHA playoffs, and the state boys basketball tournament all going on as well. 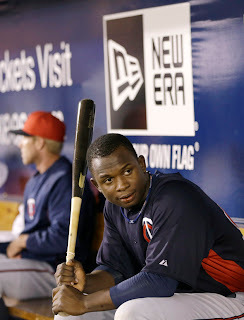 But this will be the first chance for most Twins fans to see Miguel Sano, the 19-year-old Dominican man-child. Sano was plucked from the minor league camp to make the trip to Tampa for this game. 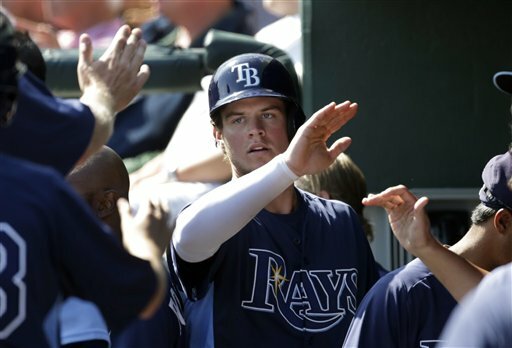 Wil Myers is widely regarded as one of the brightest prospects in baseball. Last year, in the Kansas City farm system, he tore through Double A and Triple A to the tune of a combined .314/.387/.600 with 37 home runs. If there was a credible prospect rankings list this spring that didn't have him in the top four, I missed it. Top-level talent and major league ready. The Tampa Bay Rays dealt James Shields, a quality starter, to the Royals; Myers was the centerpiece of the return. He fits the offense-starved Rays' needs perfectly — an outfielder with a power bat. Last weekend, the Rays optioned Myers back to Triple A in an obvious ploy to delay his arbitration eligibility. For a sound detailed dissection of why it makes sense for the Rays to stall his career, click here. To sum it up in a sentence, by this analysis the Rays figure to save some $15 million if they keep him in the minors for half the season. Few teams are as consistently budget-conscious as Tampa Bay. (Oakland would be an obvious one.) The financial logic behind holding back a young stud is powerful. It also has its drawbacks. In the case of the Rays and Myers, not having him in the major league lineup for half the season could cost the team a couple wins, and that might be enough to cost them a division title. The logic that has the Rays sacrificing a few games now for the sake of 2019 is why there are Twins followers who suspect/expect that Aaron Hicks will not get to open the season with the big club. But the situations here are not truly identical. Hicks, unlike Myers, hasn't been in Triple A yet. The Twins have deeper revenue streams than do the Rays. The risk of Hicks becoming too good for the Twins to afford is lower than the risk of Myers becoming too good for the Rays to afford. And even if Hicks does become pricier than the Twins want to pay, the Twins have other, probably superior, outfield talents deeper in the system (Byron Buxton as the most notable example). Terry Ryan and Co. have been careful to avoid declaring the center field competition over. I continue to believe, however, that Hicks is the most logical winner of the job. And I continue to believe that the financial considerations that will keep Myers out of the majors for a while this year will not block Hicks this April. Tuesday night in the WBC final. Sam Deduno had an impressive World Baseball Classic: Three starts, 13 innings, one run allowed, 17 strikeouts. 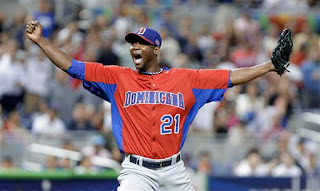 He was one of many reasons the Dominican squad went undefeated in the tournament. He also showed the flaws that led the Twins to drop him from the 40-man roster, and that led the rest of baseball to let him pass through waivers. He has great movement on his pitches but little command. In his start against the United States, he needed 80 pitches to navigate four innings -- 20 pitches a frame. 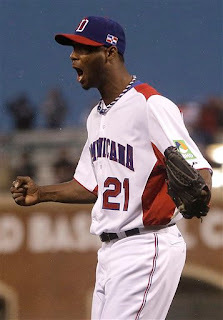 In the championship game Tuesday night against Puerto Rico, Deduno was dominant for four innings, wild in the fifth, and done after five. Seventy-six pitches, 46 for strikes, 30 for balls. Five and fly is not a characteristic of good starting pitchers, and that's what Deduno was in his half-season in the Twins rotation last year: 15 starts, 79 innings, just over five innings a start. In the limited pitch-count world of the WBC, Deduno went four innings, four innings, five innings. So I can hardly blame the Twins if they remain skeptical of Deduno as a rotation option. They should be skeptical of everybody who was part of last season's rotation disaster. 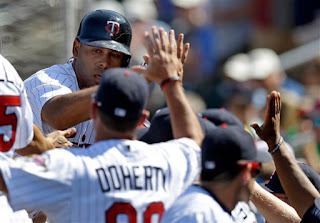 Still, 13 innings of one-run ball -- in games played with a purpose -- stands out when compared to the starts the Twins have been getting in Grapefruit League play, and even though one shouldn't put any weight on spring training numbers, it gets noticed. Deduno went five innings Tuesday against a lineup with five major league regulars. I'm not sure any of the rotation guys the Twins are counting on have done that. The prime seats for Monday's exhibition game in Fort Myers. The game was called for rain after five innings. I've been to Twins spring training twice (2008 and 2011), and the games were always, if not sold out. close to it. So this photo caught my eye. I had heard that the attendance at Fort Myers was noticeably lower this spring, and it was a rainy Monday, but still ... man, that's sparce. Just as one shouldn't put weight on spring training stats for players, I'm not sure that low fan turnout at spring training games, per se, tells us much about what lies ahead for turnout at Target Field. It figures to be down some, certainly; the Twins lost 195 games the last two seasons combined, and the Vegas oddsmakers set their over-under for Minnesota at about the same level — which means they figure the bettors expect the same. But it has also been a longer-than-usual exhibition schedule, which may have spread out whatever games the locals go to; it's been a rather mild winter in Minnesota (at least until this month), which might have led Upper Midwest fans to stay put; and it seems, as a follower of the team, that there's been more nippy (for southwest Florida) weather than usual. Those are all factors that might nibble away at the turnout as well. Weather or not ... if you'll pardon the pun ... it's now less than two weeks from Opening Day, and Minnesota is still getting winter stuff. There might be some scenes like this in April in Target Field. The Twins bounced seven non-roster invitees from major league camp Sunday. Only two of the seven — pitcher Deolis Guerra and first baseman Chris Colabello — ever had even dark horse status for making the 25-man roster, so Sunday's moves simply thinned the crowd from the clubhouse. The contenders for major league duty in April were essentially unaffected. Guerra's chances of making the roster, unlikely to begin with, vanished when he was found to have a blood clot in his pitching shoulder. For a while he was in intensive care, a sign of how serious such a clot is. On Friday he had a rib removed to free up space for the artery involved, and he should be ready to pitch again sometime this summer. As I said when the diagnosis was announced: It's a serious, even life-threatening, condition, if unchecked, and now that it's been caught, it's not career-threatening. That seems an odd juxtaposition, but it's nevertheless true. Colabello's reassignment does narrow the field a bit for the bench hitter job. The primary candidates for that job — assuming it exists when the Opening Day roster is set — now in camp would appear to be first baseman/catcher Jeff Clement and outfielders Brandon Boggs and Wilkin Ramirez, all non-roster guys. I'm not sure any of them are better fits for the pinch-hitting/backup DH role than Colabello, which leads me to suspect that the front office is going to be eying the waiver wire hard for a hitter these next two weeks. Scott Diamond is to make his first game appearance of the spring today in a minor league game, and he is apparently on track for a mid-April return to the rotation — which, by implication, means he figures to open the year on the disabled list. Ditto Anthony Swarzak, whose marginal candidacy for a rotation job cracked with his ribs a few weeks ago. Ron Gardenhire was quoted over the weekend as saying his long man had to be stretched out to five innings, and there isn't time for Swarzak to do that before the April 1 opener. Five innings? That's a typical start for Sam Deduno or Kevin Correia. I doubt Gardy's ever used a reliever for five innings. DLing Diamond and Swarzak does figure to postpone a couple of roster decisions. Swarzak is among a handful of use-or-lose guys in the bullpen field (along with Tim Wood, Ryan Pressly and Josh Roenicke) who would have to clear waivers to be kept in the minors. One of the minor aspects of this "pic of the week" feature has been that it's a springboard to talking photojournalism with colleagues Pat Christman and John Cross — particularly with Christman, who pulls in the bulk of the sports assignments. I ran these two photos by PCphoto last week. He loved the top one and was at best puzzled that the second one had been designated by The Associated Press as an "aptopix" — a designation intended to call editorial attention to the photo. Such images always leave me wondering what newspapers are using them, and how. If the intent of photojournalism is to tell a story with an image, what is the story told by a hitter's cleats and a catcher's glove hand? Both these photos are more artsy than journalistic. And in the context of spring training, that's a useful approach. The story of a given Grapefruit League game, as an athletic contest, isn't that compelling. 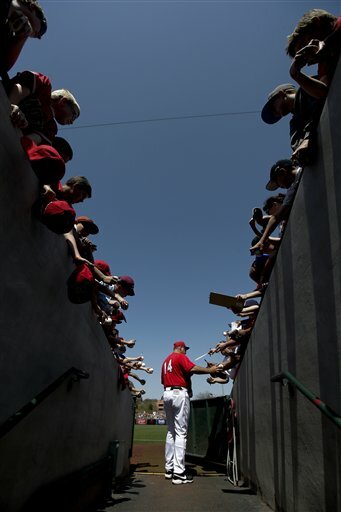 If a photographer wants to play with shadows and lines and angles, spring training's a good time to do it. And I say that as one who has a better grasp of journalism than of abstract art. the ninth inning Friday against Puerto Rico. 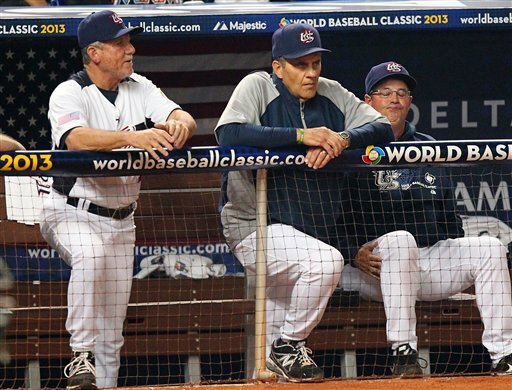 Team USA was eliminated Friday from the World Baseball Classic. This is the third WBC, and the United States has never made it to the final round. 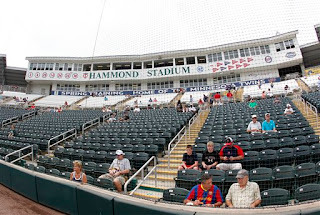 Some followers of the game regard this with apathy; an international baseball tournament held in the middle of spring training doesn't ring their bells. Some regard it with anger. Team USA's failures, as they see it, are the result of apathetic players — a lack of stars on the roster, a lack of passion among those who do play. The rest of us take it as another example of the wonderful randomness of the greatest game on the planet. The best team doesn't always win a series, much less a game, and the WBC format doesn't leave much room for error. I see no reason to question the effort or commitment of the players on Team USA's roster. David Wright resisted Thursday when the Mets pulled "Captain America" out of the tournament, but the word Friday out of New York was that the third baseman (whom the Mets owe $138 million) is likely to open the season on the disabled list. This is hardly evidence of lollygagging. Was the roster as deep as it could have been? Of course not, and particularly among the starting pitchers. It would be easy to compile a more imposing USA rotation than R.A. Dickey, Ryan Vogelsong, Derek Holland and Gio Gonzalez: Justin Verlander, Clayton Kershaw, David Price, James Shields, Cole Hamels, Matt Cain, Steven Strasburg, CC Sabathia ... none of them were there. But none of the men who agreed to take the ball for Joe Torre is dreck. Dickey won the Cy Young last year, Gonzalez won 21 games, Vogelsong and Holland are rotation fixtures for World Series teams. The two starters who stifled the American lineup the last two days — Sam Deduno for the Dominicans on Thursday, Nelson Figueroa for Puerto Rico on Friday — are non-roster invitees who aren't particularly likely to win major-league jobs. The USA didn't have the best starters eligible to play for it, but you'd have a hard time finding the game where it didn't have the better starter anyway. Randomness. On Thursday, Deduno pitched better than Dickey; on Friday, Figueroa pitched better than Vogelsong. It happens. As for the position players ... as I said here earlier in the week, I think playing time is a factor. There aren't a lot of true stars who are going to come sit on the bench for two weeks. And so it happened that Willie Bloomquist, overachieving utility player, wound up starting on Thursday at third base when Wright was pulled; he took an oh-fer and was charged with an error. But Hosmer was invited, and Hosmer said yes, and as I see it any blame goes to the people who selected and played him, not to Hosmer. but that was all he gave up in four innings. 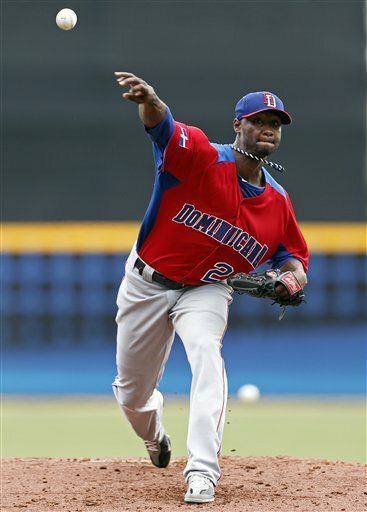 Sam Deduno is having a whale of a World Baseball Classic: Two starts for the undefeated Dominican Republic, eight innings, 12 strikeouts, two walks and just one run allowed. It was easy to discount the first outing, since that came against Spain. But Thursday night he gave Team USA fits, and that is a much more imposing lineup. I don't know that his WBC exploits are helping him win one of the spots in the Twins rotation, however. As I said here after his Spain game, he's a non-roster guy who slotted in no higher than eighth on the Twins starting pitching depth chart entering camp. Even with Kyle Gibson demoted (more on that later) and Scott Diamond possibly headed to the disabled list for the season's start, Deduno still ranks behind Kevin Correia, Mike Pelfrey, Vance Worley (three sure pieces of the rotation given continued health) and Cole De Vries and Liam Hendriks, who have both been better in exhibition games than the first three. It's also worth noting that the same pitch-count issues that made Deduno a master of the short start in his major league stint showed against Team USA. He threw 80 pitches in four innings — 20 pitches an inning. That's a problem. Nobody, including the Twins, should be eager to turn over a rotation spot to a guy who struggles to go six innings. Personally, I'd much rather give the opportunity to Deduno than Correia, but the Twins have invested $10 million in the latter. I'm not surprised Gibson didn't make the roster, and it has nothing to do with holding back his service time. 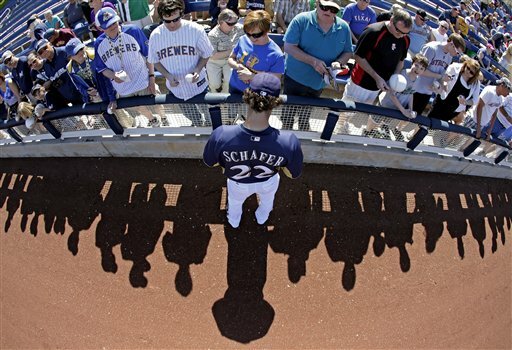 He's struggled with his command this spring, which is not unusual for Tommy John patients. Velocity and movement come back first; location often lags. He's still a vital piece of the puzzle. He's just not going to be put into place next month. 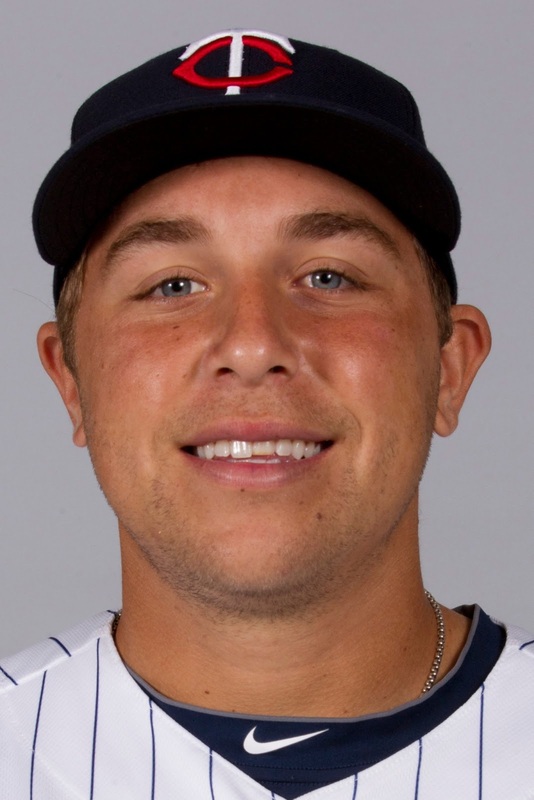 The Twins have signed Curt Smith, the first baseman for the Dutch team, to a minor league contract. 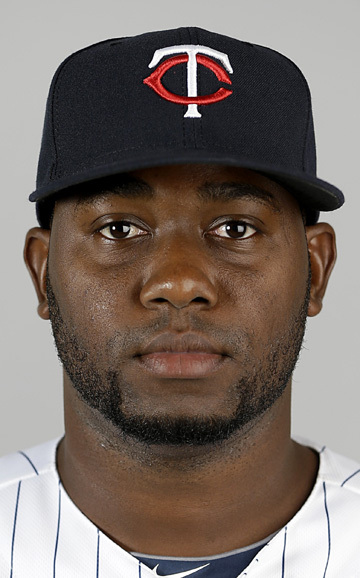 Smith is a 26-year-old right-hander from Curacao — much of the Dutch squad is from the Caribbean — who spent three seasons in the Cardinals system, one in independent ball and one in the Marlins system. He's had a couple years in Double-A. Not a real hot prospect, but he's had a strong showing in the World Baseball Classic. So has Chris Colabello, another right-handed hitting first baseman with an indy league background. Colabello led Team Italy in homers (2), RBI (7), and total bases (12) while hitting .333 in Italy's five games. Colabello is a dark-horse candidate for the major-league roster as the Twins consider carrying a pinch-hitter on their bench. Signing Smith adds some first-base depth to the upper levels of the system and makes it a bit easier to promote Colabello. Spring training 2013 is a bit longer than usual. 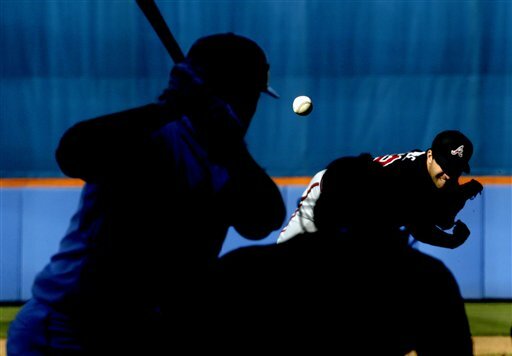 For that we can blame/credit the World Baseball Classic; camps opened earlier than normal so that WBC-bound players had an opportunity to get ready for competitive games in early March. For the Twins in particular, the first half of spring training was largely about the dozen players headed to various national teams, and about taking a peek at the future — getting a glimpse of talent deemed too raw for serious consideration for the April roster. Alex Meyer, Michael Tonkin, Trevor May, Danny Santana, Eddie Rosario, J.O. Berrios. The first four listed have already been sent "down the road" to the minor league complex. The last two will be when they return to Fort Myers whenever Puerto Rico is done with the WBC. Spring training now is about fine-tuning the established regulars, the jockeying for jobs, the settling of the rotation. As I listened to the radio broadcast Wednesday night and followed the ninth-inning debacle that was the relief work of Josh Roenicke and Caleb Thielbar, I couldn't help but think that part two of spring training is going to be less fun, and less interesting, than part one was. Ron Gardenhire and company have about two weeks to select four relief pitchers out of a grab bag that includes Roenicke and Thielbar, plus Alex Burnett, Casey Fien, Luis Perdomo, Ryan Pressly, Tyler Robertson, Anthony Slama, Anthony Swarzak and Tim Wood. They have a bit less time to sort out the order for the rotation and decide who's opening the year as the fifth starter. These decisions matter for the 2013 season, and they certainly matter for the players involved. But they don't offer much to dream on either. Larry Bowa and pitching coach Greg Maddux. It has been said that there are two things every American male believes he can do better than anybody else: Drive a car and manage a baseball team. In that sense, it's easy to find fault with Joe Torre, the manager of Team USA in the World Baseball Classic, who has a roster loaded with stars and an Internet loaded with pointed criticism. 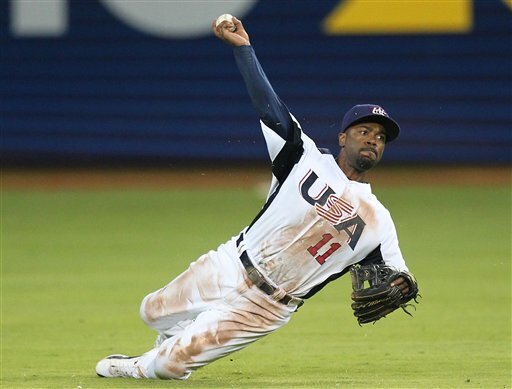 The American squad played its fourth game of the tournament Tuesday night, thumping Puerto Rico 7-1. As I followed the game, I thought about the difference in how this year's roster was constructed as opposed to 2009 and 2006 — and how less is more in this case. Torre this year has used one shortstop (Jimmy Rollins), one second baseman (Brandon Phillips), one third baseman (David Wright). He has locked in the top five slots in the batting order: Rollins-Phillips-Ryan Braun-Joe Mauer-Wright. Adam Jones has been the full-time center fielder and Eric Hosmer the first baseman. In short, Torre has a regular lineup — and an actual, honest-to-goodness bench. Previous editions haven't. The 2009 roster had Chipper Jones (replaced in the second round by Evan Longoria) and Wright at third, and manager Davy Johnson tried to make playing time for both. It had Rollins and Derek Jeter at short, and those two stars were rotating in and out of the lineup. The 2006 roster had, in anything, even more star power going on. Jones and Alex Rodriguez; Jeter and Michael Young and Chase Utley up the middle — and every lineup was different. They had to be different. No matter who the manager is, he had to recruit these stars to be on the team, and he had to keep them happy — and they didn't abandon their day jobs to sit on the bench. Torre may not have a roster filled with the absolute best talent the United States has to offer, but he has has a roster he can be consistent with. 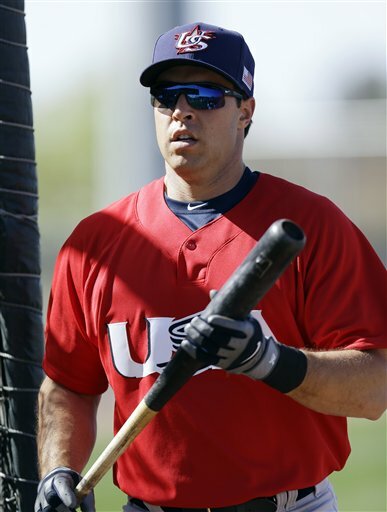 Willie Bloomquist is nobody's idea of a star, but he knows what being a utility man is all about. Team USA would theoretically be better if Mike Trout were on the roster instead of Shane Victorino, but who sits in that case? Braun? Trout? Jones? Torre's doing enough shuffling with Giancarlo Stanton and Ben Zobrist and the other two catchers, Jonathan Lucroy and J.P. Arencibia; he doesn't need another superstar to find at-bats for. I'm sure Victorino, Bloomquist and Arencibia would like more playing time, but I also think they knew going in what their roles would be. to unload on a pitch against Italy. Justin Morneau went 7-for-11 in the World Baseball Classic, a .636 batting average. Team Canada went 1-2 in Pool D and is out of the tournament, but it was hardly Morneau's fault. There is a growing expectation in Twins Territory that Morneau is finally ready to return to the levels of production he had in the mid-00s, before the various injuries — back, neck, wrist, concussion — either sapped his skills or knocked him out of the lineup completely. Morneau hasn't had a good full season since 2008. But he came to camp looking better than last year, and he's been hammering all spring (the WBC stats aren't out of line with his Grapefruit League numbers). This is the last year of his contract, and it appears that both he and the Twins organization thought it best this winter to let it stand. It's understandable on both sides. Morneau's injuries have obviously lessened his bargaining power, which make this a bad time for him to seek a new contract; they have increased the risk for the team should it make a further long-term commitment to him. Imagine, for the moment, that Morneau (who turns 32 in May) has a big year. Imagine, too, that Chris Parmelee establishes himself as a genuine quality major league hitter, and that Oswaldo Arcia tears up the high minors. That's the optimal situation for the Twins, and it's hardly out of the question — and it's hardly certain either. If that's the case, the rise of Parmelee and Arcia gives the Twins useful options as they consider what part they want of Morneau's future. 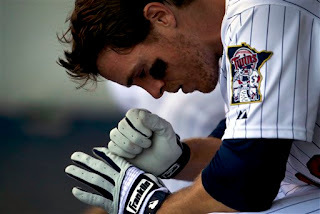 The Twins could ride out 2013 with Morneau and either re-sign him after the season or make a qualifying offer and collect a draft pick when he signs elsewhere. Or they could trade him in July and commit to Parmelee at first base and Arcia in right field. All that, let me emphasize, is based on the "ifs" going the Twins' way with those three. They haven't had a lot of "ifs" turn out in their favor in recent seasons. Today's print column was a general look at the World Baseball Classic, but it hardly exhausts the topic. * How raw is J.O. 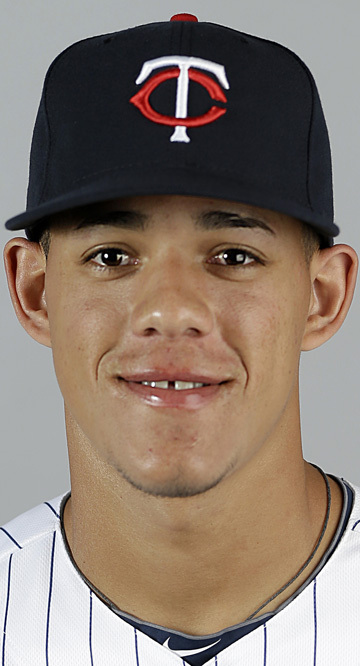 Berrios? So raw there's no consensus on what he's to be called. The Star Tribune is going with Jose on first reference; Baseball America uses the initials; Baseball Reference at one point used the initials and now has gone with the first name. So far I've gone with the initials. Berrios (and fellow Puerto Rican Eddie Rosario) was in the Twins major-league camp before the WBC only because of the event; both prospects took advantage of the opportunity to catch the attention, and imagination, of the big-leauge staff. Berrios had a rough outing — two runs, both earned, in 1.2 innings, and he was charged with the loss — but it was still easy to be impressed. The kid (still only 18) blew a high fastball past Robinson Cano for strike three. He throws from a lower arm angle than I had expected to see, and the motion looks easy. He needs, obviously, experience and good health. That's not an easy combination to achieve. But he can be a good one. 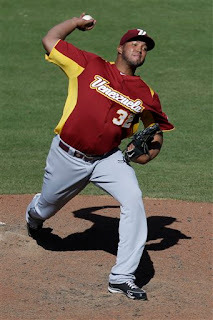 * Deolis Guerra was pitching for Venezuela but left in mid-round with what was initially described as a pectoral injury. It turned out to be a blood clot in his shoulder. He's to have part of a rib removed to free up space. This was a potentially serious development, but since it's been caught it's not a career-threatening one. There's no reason Guerra shouldn't be able to pitch again. Still, it's a blow; most of this season is lost for him. It seems like we've been waiting for him forever; he was the high-ceiling piece of the Johan Santana trade, made just before spring training in 2008. He'll never be the stud starter envisioned at the time, but he's still only 23. * It's easy to criticize the game strategy Team USA manager Joe Torre employed in the first round. none in his start against Spain. The Americans attempted four sacrifice bunts Sunday against Canada. Now, I love the bunting game, but I love it in its place. Torre has a lineup filled with legitimate All-Stars, and — no offense to the Team Canada pitchers — they're facing moundsmen of much lesser accomplishment. Giving away outs with guys like Adam Jones and Ben Zobrist is just silly. But in another light, Torre is in a unique situation. He's got a roster of All-Stars, players who left their jobs to play for this team, and none of them came to park their butts on the bench. Torre made a point of getting everybody some playing time in the pool games. Ego massage comes with the territory, and perhaps all the bunting is a way of reminding them that the ego massage only goes so far. *Sam Deduno was a late addition to the Dominican roster, and when he opted to pitch in the WBC I saw some muttering from the metro media that he was hurting his chances of making the Twins rotation and wasn't likely to pitch for D.R. anyway. 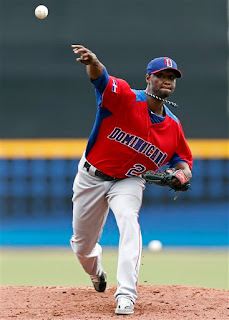 He started the second game of pool play for the Dominican — four shutout innings against Spain for the win. Yeah, it was Spain, the weak sister of the San Juan pool (Dominican Republic, Puerto Rico, Venezuela and Spain), but Deduno did pitch. And, realistically, he wasn't making the Twins rotation out of camp even had he stayed. Do the math: There's Scott Diamond, Vance Worley, Mike Pelfrey and Kevin Correia, all of whom will either be in the rotation or on the DL. Then there's the contenders on the 40-man roster — Kyle Gibson, Cole DeVries, Liam Hendriks — all of whom rank ahead of Deduno. I had a different photo — two photos, really — set up for today, but this one came in Saturday afternoon and it was just too good to pass up. Maybe I'll use the others next week. Perkins and Duensing in the pen, closer and LOOGY/setup respectively. Which leads to the questions: Will the Twins carry a third lefty? If so, who? Tyler Robertson spent a good part of 2012 on the major league roster, showing a good but inconsistent slider and a mediocre fastball. 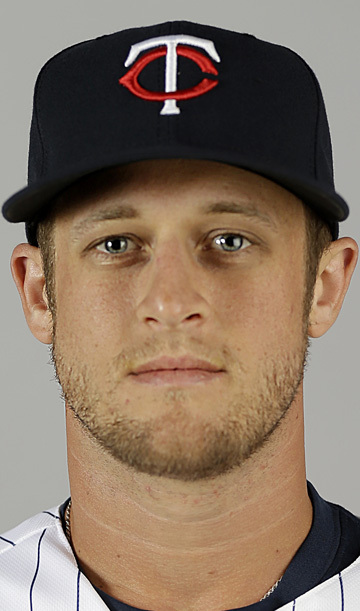 Caleb Thielbar, native Minnesotan, was added to the 40-man roster during the winter. Both have had their moments this spring, but on the whole their work has raised speculation that the Twins would be better off with just two lefties. Overlooked in that chatter is Rafael Perez. The one-time Cleveland stalwart impressed Twins scouts with a bullpen session as a free agent late in the offseason and signed a minor-league deal just after camp opened. The Twins talked about him at the time not only as a bullpen candidate, but even as a potential starting pitcher. Then he had his first bullpen in camp. First and, so far as is known, last to date. There was a quick consensus that Perez had significant shoulder rehab work to do, and he's reportedly been limited to long toss since. Maybe he's going to be a factor with the Twins, but it seems less likely now than it did when he was signed. The absences of Perkins and Perez are probably giving Robertson and Thielbar added opportunities to show their stuff. That may be a mixed blessing. Thursday. It was his fifth homer in three games. 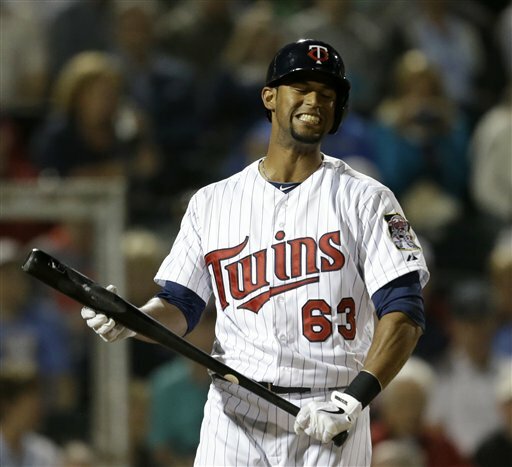 Aaron Hicks did not play a perfect game on Thursday. Yes, he hit three home runs (two of them, to be sure, wind-aided). Yes, he added a single and a stolen base. It was a wonderful box score line: 5 4 4 6, 3 HR, 1 SB. But he also made a bad throw from center field, a throw so off target it was actually handled by the left fielder. Not perfect. But far better than the play of Joe Benson in the Twins other exhibition on a split-squad Thursday; Benson whiffed three times and lost a fly ball in the sun. As matters stand — and matters stand a bit more than three weeks from Opening Day, plenty of time for things to change — Hicks is winning the center field competition over Benson and Darin Mastroianni, who has been sidelined by a hamstring strain. Hicks is compiling stats, but that's the least of it. He's working counts and grinding out at-bats. He's covering ground in the outfield and running the bases well. He's displaying good body language. He's doing the things a player needs to do to justify making the jump from Double A to the majors. Still, there are those observers who doubt that Hicks will get to skip Triple A. For one major thing, waiting a couple of months to call him up might save the Twins more than $2 million in salary in 2015, and even more in following seasons, by delaying his arbitration eligibility. Pat Reusse wondered Thursday on Twitter what kind of whopper general manager Terry Ryan will come up with to explain Hicks' eventual demotion. I don't share that skepticism. It is worth remembering that, after Ryan traded away both Denard Span and Ben Revere this winter, he assured Ron Gardenhire that if Hicks was the best center field candidate this spring, Ryan would not keep him off the roster. At this point, Hicks is clearly the best center field candidate — not only the best, as I've said here before, in the long run, but the best right now. 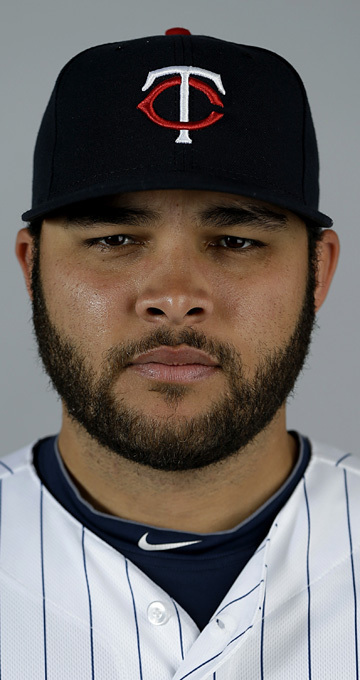 Unless he suddenly breaks his established character at the plate and develops Benson's lack of strike zone judgment, he'll be the center fielder on Opening Day. has not gone well so far. More than three weeks remain before the regular season opens, but a couple of high-expectation teams have developed significant roster questions that don't have easy answers. It will be interesting to see how they cope. Detroit Tigers: Jose Valverde, who had been their closer the past few years, is out of the picture (and still unemployed, for that matter). Bruce Rondon, a hard-throwing 22-year-old prospect, had been deemed the front-runner as Valverde's successor, although manager Jim Leyland was coy during the offseason about the bullpen glory job. Rondon has struggled with command this spring. The Tigers skipped his most recent scheduled appearance to work on his mechanics in a side session and pronounced themselves pleased with the tweaks, but we've all seen reports of struggling pitchers having a "great bullpen session" and continuing to struggle. Maybe Rondon can be fixed in the time remaining. Maybe the Tigers will make a March trade — there's plenty of speculation about the availability of starter Rick Porcello. Perhaps they'll open the season counting on Leyland to work the closer-by-committee approach that worked so well for him in his Pittsburgh days more than 20 years ago. time in a Team USA uniform this week. Eric Hosmer of Kansas City. New York Yankees: First baseman Mark Teixeira injured his wrist hitting off a tee shortly after joining Team USA in preparation for the World Baseball Classic, and he'll be out of action eight to 10 weeks, or into May — a rather similar return date to that of outfielder Curtis Granderson, who broke his forearm in his first exhibition at-bat. If you're going to lose lineup keys for eight weeks, it's just as well that a sizable chuck of that time be spring training. But that's a lot of power suddenly vanished from the Yankee lineup for at least a month. Cashman said NYY could look at a pool of 1B and 3B thanks to (Kevin) Youkliis' versatility: "It's kind of like a baby pool. A lot of kids pee in it." Ah, lemme guess: He's not that thrilled with the options outside the Yankees system either. Tampa Bay ran at will late in Tuesday's exhibition game against the Twins, and that doesn't bode well for the two relief pitchers involved, Tim Wood and Tyler Robertson. This was the second time this spring that Ron Gardenhire has commented on Wood's inability to limit the running game. We may be seeing why Wood never got a call-up by the Pirates last year even as he had a dominant season in Triple A. Few teams run the bases as aggressively as the Rays, but man -- stealing home in a first-week-of-March exhibition? Robertson should be embarrassed. Ten Baseball America staffers predicted in the latest issue which teams would have the top three draft picks in 2014 — which is another way of predicting the three worst teams of 2013. All ten picked the Houston Astros to have the first pick — which would make three straight seasons of having the worst record in baseball. The Twins minor leaguers were due in camp Tuesday, with minor league exhibitions getting under way this weekend. The first cuts in major league camp figure to come then, but with a dozen guys gone for the World Baseball Classic, those cuts may not be very deep. Most likely to be sent to the minor league camp, in my estimation: RHPs B.J. Hermsen, Trevor May and Mike Tonkin, IF Danny Santana, C Josmil Pinto. They're all 40-man roster players with options who have little to no chance of opening the season in Minnesota, which makes them prime targets for early demotion. If they get hurt in major league camp, they go on the major league disabled list, get paid a major-league salary and earn service time. Around the time my Monday print column connecting the competence of the Twins infield defense to that of their pitching staff was being readied for publication, Phil Mackey was making much the same points in this piece on the merits of Eduardo Escobar as an infield regular. Of particular note in Mackey's reporting is Ron Gardenhire saying that while Escobar can handle shortstop and third base, he thinks second base is Escobar's best position. OK, let's sort through this. Jamey Carroll is going to be on the roster, preferably as a frequently-used utility man. He turned 39 last month, and his offense last season was better when he got more time off. If Carroll winds up the regular at any infield position, it means Plan A failed. Pedro Florimon entered camp as the favorite for shortstop. He can pick it, but he can't hit it. The same can be said of Escobar. Good field, no hit. Then there's Brian Dozier. 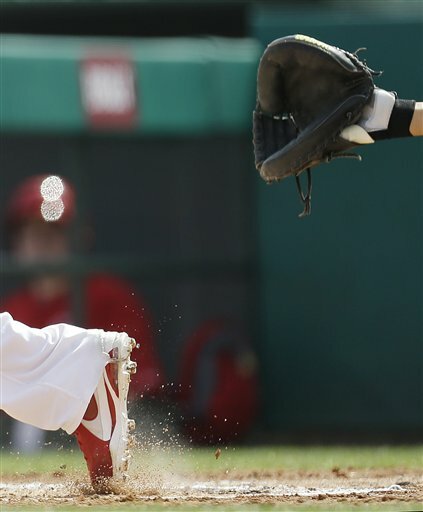 He flopped as a rookie at short last year and has been used strictly at second base this spring. Tom Kelly last week lauded his improvement. Dozier played all nine innings in Monday's exhibition against the St. Louis Cardinals and was involved in turning five double plays, which is not a bad sign at all. Escobar may well be the superior defensive second baseman, but it's going to be difficult to justify having Florimon and him both in the lineup on a regular basis. Of the three non-Carroll candidates, Dozier is the only one with a respectable minor-league resume as a hitter. Of course, that track record didn't translate to the majors last year. If Dozier is to emerge from Florida with the job over Escobar and Carroll, he's got to hit as well as field. My guess is that he's going to get the chance. “While neither us nor the commissioner’s office have any legal obligation to bargain over that issue over the term of the basic agreement, I don’t think it was the intention of either side that you would have a player and you’d have clubs that would be interested in securing that player and be happy paying that player his salary, but would be stopped from doing it by compensation. That really wasn’t the intention. Well, now. There's very little in the changes themselves that make it less appealing to a bidding team to pursue a free agent. What the changes did do was sharply reduce the numbers of free agents subject to compensation. Teams have to take a greater risk now to qualify a player for free agency; their payoff in draft picks is slightly less. If Michael Weiner's point is that any compensation system distorts the market, he's right; if he's arguing that this specific system is more distorting than the previous one, he's wrong. To be fair, I think he's leaning toward the former, as he points out that the number of free agents tied to draft picks fell from 30 to nine. What has changed for free agents like Lohse, to be blunt, is that teams have gotten smarter about free agency over the past several years — not only about the value of draft picks, but about investing in older players (Lohse is 34). I detailed in December five factors inhibiting Lohse's market, and compensation is one of them, but most are variations on the premise that he really ain't that good. Lohse had ace-caliber results in 2012, but paying him on that level for the next several years is a bad bet. Those organizations stat-savvy enough to recognize the risk would avoid Lohse regardless of compensation. Weiner hints that he'd like to revisit free-agent compensation before the basic agreement expires (2016), and since there's talk of revisiting the steroid-use penalties before then too, it might happen. I'm not convinced that there's really a system problem here, however. Lohse and his agent (Scott Boras) misjudged the pitcher's market. That's the problem. I believe I said last September that I love the game's late-season shadows. Truth is, the spring ones are pretty cool too. 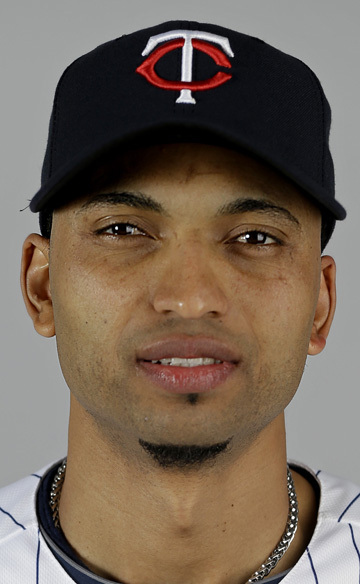 * All three of the center field candidates have performed well in the first week of exhibition games, but it seems Aaron Hicks has taken a quick lead in the competition. Which makes sense. Hicks and Darin Mastroianni are the two who profile as top-of-the-order hitters; Hicks and Joe Benson are the two with "high ceilings." Hicks is the one who has both. As long as he continues to play good defense and provide sound at-bats, he should wind up with the job. * Pedro Florimon, the putative front-runner for the shortstop job, hit a flyball over the center fielder's head Friday for a double. This had the radio boys talking about how the Twins say Florimon came to camp stronger this year and thus more of a power threat. I'm not buying the power threat part. Florimon may well wind up with the shortstop job, but he's not going to be an offensive plus, and he isn't going to help much by hitting warning track fly balls. Twins fans of a certain age will remember Houston Jimenez, the shortstop of the unlikely 1984 contenders. He held the job for most of the season because he was a competent defensive shortstop, but he couldn't hit water if he fell out of a boat, as the cliche goes — .201/.238/.245 in more than 300 plate appearances in 1984. He was the master of the 340-foot fly ball. I suspect Florimon may prove a switch-hitting version of Jimenez. If so, he'd better be a better defensive player than Jimenez. * The likely starting rotation hasn't covered itself in glory so far — Scott Diamond hasn't taken the mound yet, and Kevin Correia, Mike Pelfrey and Vance Worley have all been knocked around some. The best outings have come from guys competing for the fifth job, like Liam Hendriks and Kyle Gibson. The veterans aren't sweating it yet. If I'm wary of Correia — and I am — it's because of his established track record, not because he's been hit in his February outings. If I'm cautious about Pelfrey — and I am — it's because he's less than a year removed from Tommy John surgery, not because he's been hit in his February outings. Nobody's winning, or losing, a job on the basis of the first week of exhibition games. Not even Hicks. It's easy to be optimistic during spring training. But some people carry it a bit too far. 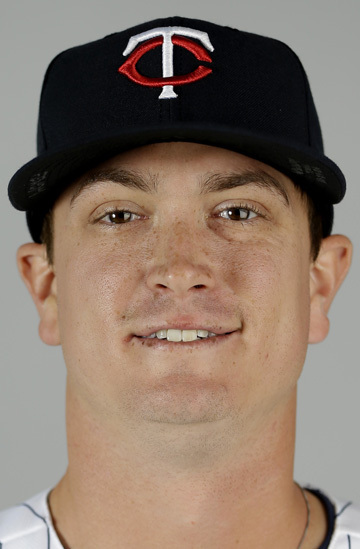 I had figured that the silliest manifestation of over-the-top optimism Twins fans would encounter this year was the notion that the organization should hold back Kyle Gibson to make sure the Tommy John rehab project has innings available to use in the playoffs. I'm all in favor of the Twins making the playoffs, but basing Gibson's workload on that notion is irrational. This is a team that lost 195 games over the previous two seasons and will have Kevin Correia in the rotation. Use Gibson in the manner that's best for him and the team in the long run, and the won-loss record will take care of itself. If the Gibson fallacy weren't enough, now comes the predictable misplaced reaction to the news that Joe Mauer's wife is expecting Twins in late August. Oh no! What if the Twins are in the hunt and Mauer leaves the team for a few days to see his kids born? Give me a break. Give all of us a break. I have no sympathy with, or patience for, the notion that an athlete (no matter how highly paid) must subjugate family concerns to the imperatives of the next game. Building a stable, loving, supportive home environment is hardly a sign of misplaced priorities for anybody, athlete or civilian. The Twins will survive a brief paternity absence from their best player. Joe and Maddie Mauer are expecting twins this summer? I wish them well. And I wish the rest of us will let them be.